Snowlogic knows that snow is unpredictable, the only way to ensure our customers get the service they expect from Snowlogic is to make sure we have the right people and equipment to handle whatever Mother Nature sends our way. Our facility houses a large commercial salt dome which allows Snowlogic to maintain salt supply and pricing while other companies are passing on surcharges or even worse not able to supply salt. 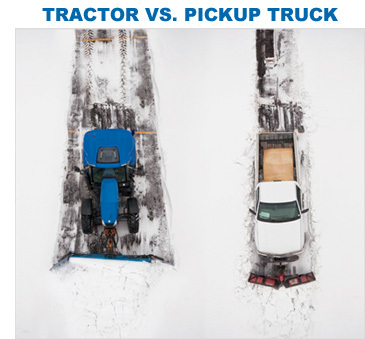 Innovative thinking (example plow designed to get under parked trailers) allows Snowlogic to provide customers with unique solutions to their snow and ice challenges. Snowlogic goes through a rigorous training process and retains it's employees 12 months per year to ensure our service levels remain consistent. Snowlogic is fully insured and carries 10 million dollars of liability insurance.